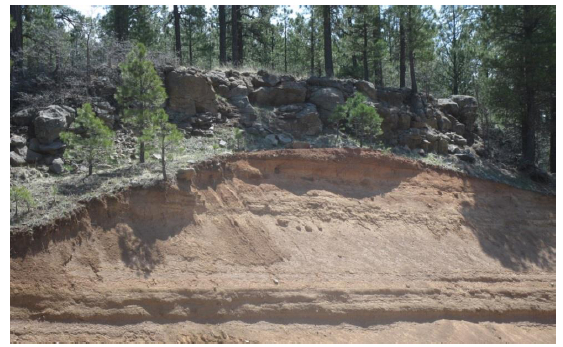 This geologic field trip guide circumnavigates a loop of ~120 miles from Flagstaff to Sedona along Highway 89A and returns to Flagstaff along the Lake Mary Road. 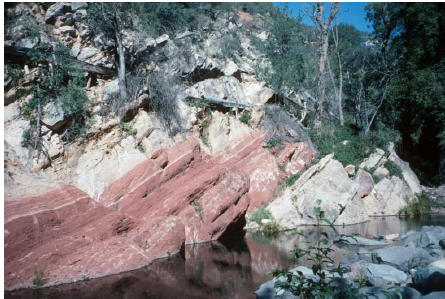 The 12 geologic stops focus on recent faulting and the encroachment of Basin and Range extensional structures on the Colorado Plateau. Each stop is detailed in the text, which is amply illustrated with photographs and colored geologic sketches. 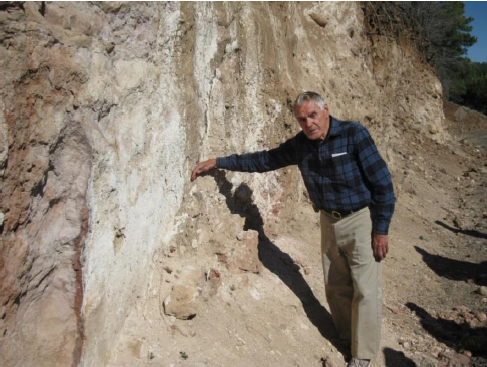 The guide is made available to the public courtesy of Paul Lindberg and the Arizona Geological Society. Just saw your guide book to last year’s Grand Canyon field trip. Do you have any field trips for 2015 that I might be able to sign up for? Hi Susie, I apologize for the late reply. There is a field trip in the planning process for November, once we have more information, we will send out the announcement and post it here online.